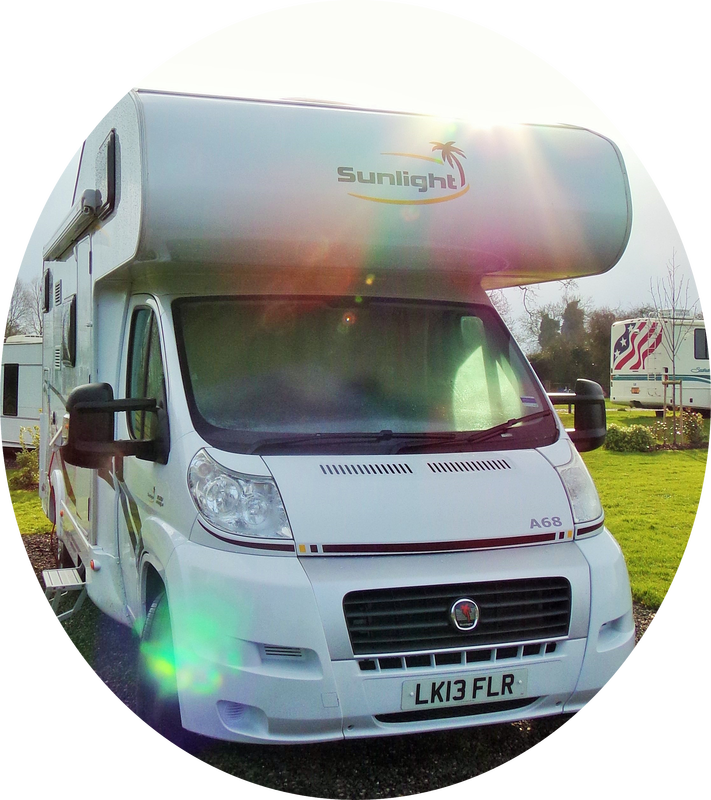 This site mainly documents our adventures as we spend the summer of 2016 travelling around the UK and Eire in Mavis, our motorhome. Thanks to contacts we’ve made during the years the plan is to work at small music festivals and a few other gatherings as well as plenty of sightseeing along the way. We’ll also be seriously testing the tolerance of friends and relatives around the country who were foolish enough not to pretend they were away for the summer or had some highly infectious illness and therefore will have to put up with two under washed hungry nomads on their doorstep and a motorhome the size of Luxemburg on their drive. 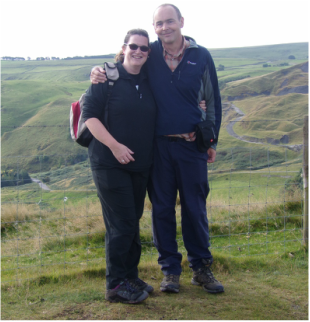 In case you don’t know us we are Alison and Ray Canham. We were married in September 2015 after first meeting at a friend’s camping trip in 2011. We have approximately three grown up children between us, two cats, who are lodging with relatives while we’re on the road, and we share a passion for the outdoors, hiking, camping, the open road, music and coffee. We’ve both worked all our lives, Alison predominately in administration and Ray as a nurse for people who have a learning disability, and then in social housing in a series of jobs with increasingly bewildering titles. Click here to go straight to the blog. As two people who spent a long time single and raising children we both harboured a longing to travel, to take off, abandon our worries and to live life ‘in the moment’ day to day. Of course real life, in the shape of work, children, debt and mortgages scuppered any progress until one day in mid-2015 while out hiking the thought occurred to us that actually there was nothing stopping us. Except us - our children had left home, work had become a way to pay the debts and house prices were edging ever upwards, meaning we’d be in a position to sell up, buy a decent motorhome and have enough to exist on for a while and hopefully put a little in the bank to help ease us back into real life. The house is sold; we will sell the cars, move into our motorhome and hit the road on March 30th 2016. We have a number of festivals lined up to work at, starting at East Mersea in Essex, ironically 5 miles from the home we’ve just sold, and with a fair wind and lots of luck we will wind up at The Edinburgh Festival in August. We’ll wind down with a fortnights house and dog sitting in September before we settle somewhere for the winter. Hopefully by the time autumn comes around we will have some paid employment and accommodation lined up. Music is important to us. It’s the first thing we bonded over and has been a constant companion through both of our lives. One of the first projects we embarked upon as a couple was putting on live acoustic gigs in our living room. You can find more about our love of music by visiting the super-secret part of this website here. The blog will be accompanied by photos because Ray likes to hide behind a camera. All the pics on here are by him unless otherwise credited.